The Vatican, an institution not best known for its culture of openness, has announced the formation of an 11-strong committee to be led by Chris Patten that will oversee the modernisation of its communications. The heart of the Catholic establishment has a long history and recent years have seen the Church endure the storms of scandal after scandal, with public outrage expressed over claims priests abused children, corruption at The Vatican bank and unsavoury links with mafia bosses. But the election of Pope Francis 15 months ago has not only brought the winds of change to The Vatican’s bureaucracy, The Curia, it has also brought about something of a renaissance in how the world’s media, and by extension the public, view the institution and the man who leads it. Pope Francis is saying all the right things, eschewing most of the trappings of office and castigating those within the Church who regard it as a route to a comfortable existence. It is perhaps for this reason that the Vatican has decided to seize the moment and capitalise on the mood of public goodwill felt towards the Pope by modernising and adapting its communications to meet the needs of the 21st century. "The Vatican is waking up the fact that it spends a lot of comms money on Vatican Radio and TV, which is like bringing a knife to a gun fight in the era of social media - that time has passed," says Ben Ryan, a researcher at the religious affairs think-tank Theos. The Vatican has already dipped its toes in the waters of social media with successful attempts at a ‘Pope App’ and the Pope’s Twitter account, which currently has an enviable 4.2 million followers. "All organisations need to review the structures they use to communicate and deal with the logic of a digital world and the best way of communicating with 1.2 billion Catholics, many of them young, is not best served with structures which are 20 years old," says Alexander Desforges, director of comms for the Catholic Church in England and Wales. Currently, The Vatican runs six separate comms operations: Vatican Radio, The Vatican Press office, an internet office, a daily newspaper, Vatican TV and the Pontifical Council, which does strategy work. Most agree that this does not amount to an efficient structure. 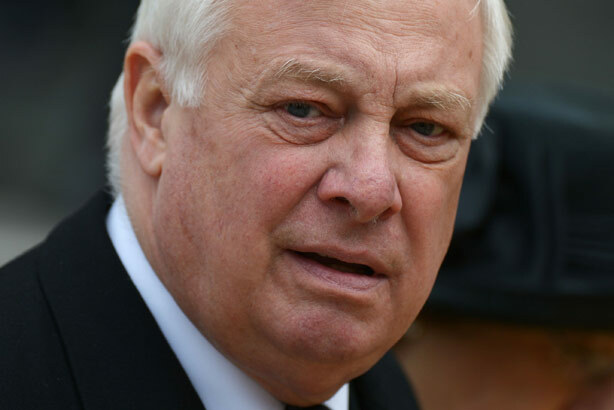 But what will Lord Patten bring to the table in his role as president of the committee overseeing change? He is a man with a CV that speaks loudly of communicating the aims of complex organisations and of managing change, from his stint as the last British Governor of Hong Kong, through to his role as an EU Commissioner and most recently as chair of the BBC Trust during the eruption that became the Jimmy Savile scandal. It should not be forgotten that Patten, himself a Catholic, oversaw the visit by Pope Francis’ predecessor, Pope Benedict, in 2010. "He was brought in by the Government because it did not quite understand the shape of how the visit would look," says Desforges. "The Pope is not only a head of state but a spiritual leader and the Government didn’t have a blueprint for the visit because it had not previously invited the Pope as a guest." Patten acted as a pivot point between the Catholic Church and the Government during the visit. Desforges adds: "He is someone with his feet in both camps - a bridge between the Church and mainstream organisations. He is also very experienced at managing change, with Hong Kong being a good example of this, and he understands international relations as well as how The Vatican works." Others point to Patten’s recent stint at the BBC as the best example of what he can do to help The Vatican. The BBC endured a torrid 12 months between November 2011 and November 2012 after it emerged that a Newsnight investigation into Jimmy Savile had been axed and the first allegations surfaced that he had sexually abused people on BBC premises. The scandal led to the resignation of BBC director-general George Entwistle and Newsnight’s then editor Peter Rippon left his post. During the crisis, Patten forced the BBC’s comms team to reverse a decision to call in Brunswick for help with the corporation’s reputation management, a move Patten described as "not optically acceptable". Patten himself endured criticism during his three-year tenure for a range of issues, not least of which his decision to give Entwistle £450,000 in his exit deal when he quit the BBC, but also over executive pay at the corporation in general. However, one BBC insider defends Patten over the crisis. "He was at the BBC during one of its most difficult recent moments and he brings robustness, clarity of purpose and a thick skin for criticism," he says, adding wryly that Patten has had "good on-the-job training" when it comes to handling a crisis. Others, such as Ryan, view him as an arch moderniser. "It’s one thing when a young researcher says 'you need to modernise' but it’s different when that comes from Chris Patten because he’s so experienced at transforming old-fashioned organisations," he says. "He’s viewed as a safe pair of hands." There are high hopes for what Patten and the committee might achieve but there will also be challenges. "One challenge will be getting everyone on the same page within the organisation and ensuring that you don’t have different parts of it competing with each other," the BBC insider continues. "Another will be to make sure the problems of the past don’t get in the way of what The Vatican is doing in the present."